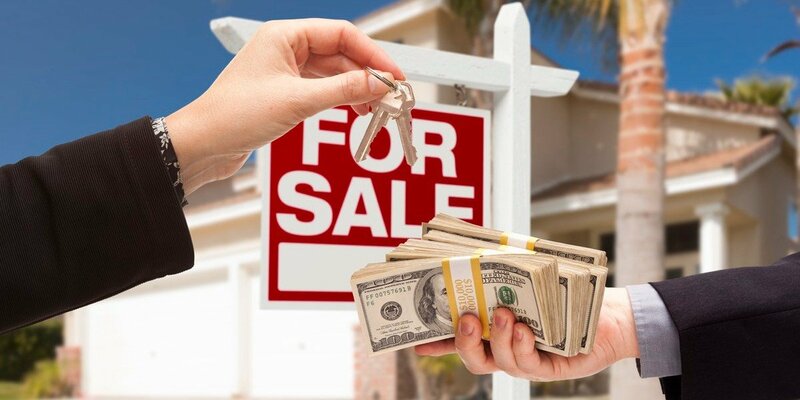 Cash For Houses In New Orleans – Is it right for you? You’ve seen the signs at almost every street corner or off-ramp, “Cash for houses in New Orleans.” Some of these are cartoonish signs and others might even be handwritten, nailed to a light pole. Some cash for houses signs makes claims they buy houses in any condition and for competitive rates and all cash. Is Cash For Houses In New Orleans Right for You? The people behind these signs are investors seeking quick, undervalued properties to capitalize on. Signs take much of the work out of researching distressed properties, and focuses on homeowners who want to sell quickly. The key target market includes homeowners in some negative financial situation. This includes bankruptcy, foreclosure, medical issues, divorce, or damaged properties. They also look for properties transferring ownership from probate sales, vacancies, and even listings that are about to expire. Investors look for motivated sellers and distressed properties that can be rehabbed quickly, because they want fast turnaround and profit. As the seller, this may or may not be your best play. The buyer wants to ease your burden and knows you have some emotionally-binding stressor that requires a quick sale. Therefore, their offer may be for the remaining mortgage balance regardless of the value of the home. At best, investors want properties at wholesale pricing, which is often below fair market value by at least 30 percent. Remember that everything from mortgage payments, insurance, and property taxes must be paid while you own the home. The longer it takes to sell, the longer you must pay for utilities and maintenance. Do the math, and then consider the average time it takes to sell in your market. Based on average pricing, will you make up the cost of maintaining the home for that amount of time? The sale may also be urgent due to impending foreclosure or estate tax cash requirements. Consider these factors as you begin to look at offers from buyers. It doesn’t take extensive research to get an idea of a property’s fair market value. You can always pay a couple hundred dollars for an appraisal, or simply speak with a local realtor who can give you an idea of the value (based on current market conditions) of your home in its current condition. Once you have the estimated value, look at quick and cheap repairs to complete to improve the property. This includes cleaning the home inside and out, replacing carpet, tiling the bathrooms and kitchen, repainting inside and out, getting rid of weeds, and trimming trees and bushes. Investors will often upgrade a kitchen and put in a new appliance package, thus making their margin on the property obtained at 30% below market value. This isn’t required, but if you have the time and money, it may be worth the investment. The bottom line is, if you can extend your timeline of a need to sell, you can wait for a more traditional buyer to come along and give you an offer that puts some money in your pocket. DO YOU HAVE A HOME TO SELL QUICKLY? IF YOU’RE INTERESTED IN AN ALL-CASH OFFER WITH A QUICK CLOSING, FILL OUT OUR ONLINE CONTACT FORM OR CALL US AT (504) 224-9066 TODAY!